And absinthe's allure is . . . ? Ah! The Green Goddess! What is the fascination that makes her so adorable and so terrible?" Thus pondered Aleister Crowley, British occultist and self-proclaimed wickedest man in the world, of his beloved and recently outlawed absinthe, "the Green Goddess," in 1918. Whether he ever found his answer isn't known; when he died in 1947, it was still illegal to drink absinthe in America and parts of Europe. But it's a question that bears repeating today. The devil's drink has come to the North Bay, and would-be homicidal maniacs are lapping it up. Apparently tossing aside worries of hallucinations, ignoring dark tales of madness and violence, and even risking the possible loss of an ear, sophisticates across Sonoma, Napa and Marin counties are downing drams of the vicious liquid. Yes, absinthe, the desperado drink of choice for 19th-century painters, poets and writers. Suddenly, the highly alcoholic, fiendish concoction that allegedly bewitched Vincent van Gogh into carving off his fleshy flap is showing up in high-end restaurants like Cyrus in Healdsburg and Bouchon in Yountville. Served in its classic water blend, it's holding court at trendy eateries like Cindy's Backstreet Kitchen in St. Helena. Paired with odd partners like Red Bull, Champagne and gin, it's making a splash in the bars of such hip spots as the Girl & the Fig in Sonoma. At Traverso's Gourmet Foods and Liquors in Santa Rosa, co-owner Michael Traverso can barely keep his four brands on the shelves. Indeed, the forbidden la fée verte, or the Green Fairy as it's called, has landed hard here after a near-100-year prohibition was lifted in December. And now, my head is pounding. Hard. In a quest to solve Crowley's riddle, I've been doing shots of the stuff in bars, restaurants, private homes and, in one case, a dark alley (OK, an exclusive lounge with an alley entrance). I've sampled almost a dozen brands and cracked into private caches from collectors holding legal bottles, but also bootleg grog smuggled from Europe. What I've learned: Absinthe, like fine wine, has many nuanced characteristics, capable of challenging even the most talented tasting notes writer. Alas, not all of these qualities are particularly nice. "Licorice" rolls off the tongue, but so does "battery acid." Adorable? Not so much. Terrible? Pretty often. Why the excitement, then, for a drink that is essentially harsh herbs and excruciatingly high levels of alcohol? Think mind-altering buzz. Or, as Cyrus bar manager Scott Beattie quips, "We've been told we couldn't have it. What's not to love?" Blame Lance Winters, owner of St. George Spirits in Alameda. Purported to have near-hallucinogenic properties, absinthe was banned in its native France in 1915, and had been illegal in America since 1912. But thanks to Winter's perseverance, his domestic version was reintroduced in very limited quantities to the States this winter. The distillery, most famous for its Hangar One vodka, sold out of its inaugural 3,600 bottles in just six hours. Immediately, the Swiss Kubler and French Lucid brands burst upon the American market, too, and the anise-flavored liquor that was once considered the bane of bohemian culture hit mainstream. French-style absinthe is made by macerating herbs (including wormwood, star anise and fennel) in up to 90 percent alcohol (brandy is common) and then distilling it all into a green liqueur. The spirit is then infused with more herbs, like hyssop and lemon balm, resulting in a brew that contains nearly twice the alcohol content of most other spirits, reaching up to 144 proof (that's 72 percent alcohol). Some bars maintain a two-drink maximum, particularly when blending it with energy drinks. Besides the obvious draw of potency, there's the undeniable allure of the mythology attached to it. Edgar Degas and Pablo Picasso painted portraits of it, celebrated French poet Paul Verlaine cursed it as he lay dying from its effects in 1896, and his protégé, the savage wordsmith Arthur Rimbaud, penned this romantic wail: "When the poet's pain is soothed by a liquid jewel held in the sacred chalice, upon which rests the pierced spoon, the crystal sweetness, icy streams trickle down. The darkest forest melts into an open meadow. Waves of green seduce. Sanity surrendered, the soul spirals toward the murky depths, wherein lies the beautiful madness—absinthe." Then there's the macabre legend of why the lunatic libation was originally banned in Switzerland. In 1905, after Jean Lanfray, a 31-year-old Swiss laborer, sampled some absinthe and then killed his pregnant wife and two children, the Swiss government blamed the liqueur. Critics of the Lanfray tale point out, that Lanfray had consumed an entire bottle of absinthe before breakfast, and then moved on to crème de menthe, cognac and soda, at least six glasses of wine and a cup of coffee laced with brandy. Despite the naughty notoriety, most of the threat turns out to be nonsense. The active ingredient of thujone is rumored to affect the brain. It's true that wormwood (Artemisia absinthium) can cause paroxysms and paralysis, yet the amount needed to be consumed for this is astronomical. 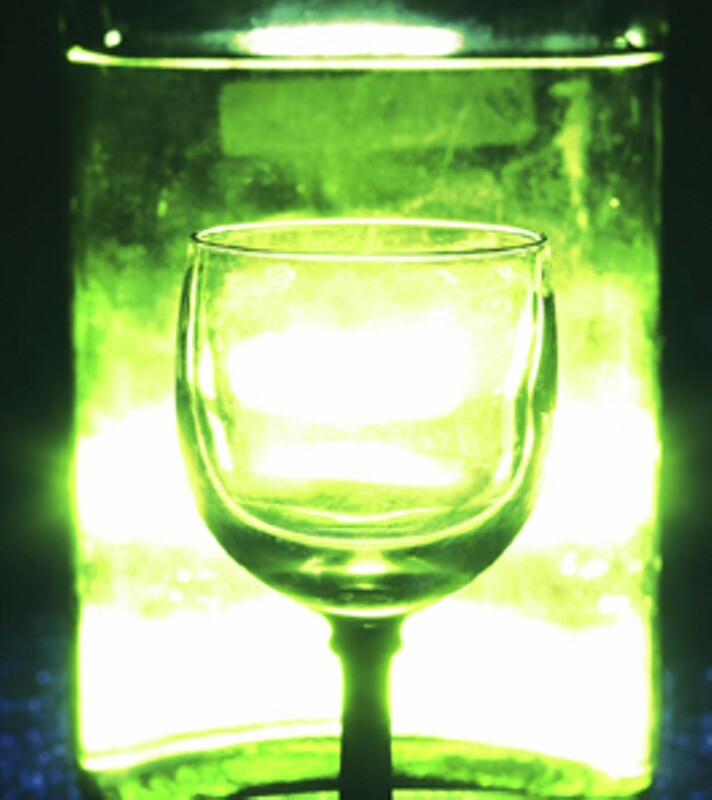 The only deadly ingredient in absinthe, actually, is alcohol. Some say the ban was a conspiracy by the wine industry and temperance fanatics to put the popular spirit out of business. And the veto has been likened to baseless hysteria, along the lines of Reefer Madness, the 1936 film shrieking about the horrific dangers of marijuana. In reality, the most likely repercussion of too much indulgence is one hellacious hangover. Ben Aviram, head sommelier at Bouchon, doesn't recommend even trying for the fairy trip. "I'm not a scientist, but my understanding is that the concentrations of wormwood are not enough to cause hallucinations no matter how much you drink. The effects are urban myth." Jesse Bennett, bartender at the Girl & the Fig, says the issue doesn't really come up, anyway, with more people sampling than snorting the noxious blend. "It's pretty popular, but it's more because of curiosity," he says of the seven to eight shots he pours each week. True absinthe aficionados insist the real appeal is in the remarkable flavor. Liqueurs such as ouzo, Pernod, pastis and anisette may taste similar but are less complex, without the powerful botanical symphony. Beattie, though, is one of the most rabid promoters of absinthe, stocking a private treasure chest of almost a dozen bottles in his home cabinet (without a licensed distributor for most of the exotic labels, he can't serve them all at Cyrus). Like most North Bay shops, his Cyrus absinthe is served drip style. The hooch is poured into a special glass and then water is slowly splashed in over chunk ice held above the glass in a slotted silver spoon—the water is necessary to dilute the single ounce of alcohol and "blossom" the herbs, while the ice slowly melts to tame the burn. As the water filters in, the drink turns milky opalescent, a process called louching. Good drama or no, don't count me a convert. The first selection I sampled in a private tasting with Beattie was called Roquette 1797. It smelled like an old closet, mud and cat pee. The silvery liquid barely louched, and tasted of mothball and medicine. I hated it. Beattie's feelings weren't hurt. "Absinthe generally is too intense, too complex, not for mass consumption. People say they like anise, but they don't." The Belle Amie was better. The gold-olive-toned brew imparted iodine, lemon and cleaning fluid. Pine-Sol with a licorice linger. My sinuses were open. Verte Suisse unleashed menthol, lime and rancid cough syrup before ripping to the back of my throat with its harsh bite. My chest was warm and my skin itched. By the time I got to Absinthe Verte de Fougerolles, I was seeing tendrils of light, and tasting tea, spice and brake fluid. Beattie wasn't surprised to find that I liked St. George Absinthe Verte the best, swilling the murky green potion like lemonade. The brandy-based, herbaceous beverage is the top choice at the Girl & the Fig, too, for its smooth, mild, palatable personality and its endearing Good & Plenty perfume. Still, I was nauseous. I decided a nibble would help. Yet another challenge to absinthe is what to pair it with (other than a designated driver). Beattie trotted out a couple of tests: assorted cheeses, Chex Mix and pickled ginger stained with beet juice. Pickled daikon smelled like feet, so in the end, it won. As Bouchon's Aviram notes, however, absinthe has such an assertive flavor that it's, er, "best" enjoyed on its own. Then I tried the La Maîtresse Rouge. Packaged in a pretty silver screwcap bottle, it's a rosé and it tastes pink, very floral, with a soft, delicate dance of anise and real flowers kissed with embalming fluid. My eyes were tingling, my stomach ached and my brain shrieked, "I know where you live—we'll be discussing this later." But it was still a surprisingly un-nasty sip. In the long run, absinthe may be simply a novelty. A bartender at Cindy's Backstreet Kitchen says he's still nursing the original bottle he ordered more than six months ago. And Traverso has already seen a dramatic slow down in the "frenzy" that followed the spirit's December debut. He's not too surprised. "For the money, fifty to eighty dollars," he says, "I'd rather have a good bottle of Scotch." Bouchon 6534 Washington St., Yountville. 707.944.8037. Cindy's Backstreet Kitchen 1327 Railroad Ave., St. Helena. 707.963.1200. Cyrus 29 North St., in the Hotel les Mars, Healdsburg. 707.433.3311. The Girl & the Fig 110 W. Spain St., Sonoma. 707.938.3634. JV Wine & Spirits 301 First St., Napa. 707.253.2624. Ludwig Liquor & Smoke Shop 431 San Anselmo Ave., San Anselmo. 415.456.1820. Plaza Liquors 19 W. Napa St., Sonoma. 707.996.2828. St. Helena Wine Center 1321 Main St., St. Helena. 707.963.1313. Traverso's Market106 B St., Santa Rosa. 707.542.2530. Vintage Wine & Spirits 67 Throckmorton Ave., Mill Valley. 415.388.1626.